FILE - In this Sept. 6, 2018, file photo. House Minority Leader Nancy Pelosi, D-Calif., speaks during her weekly news conference on Capitol Hill in Washington. Sixteen Democrats on Monday released a letter announcing their opposition to electing Rep. Nancy Pelosi, D-Calif., speaker of the House, presenting her a narrow path to reclaiming the speaker’s gavel in the next Congress. The letter is the first concrete expression of opposition from current Democratic lawmakers and incoming members of Congress since the party won control of the House in the midterm elections, NBC News reported. 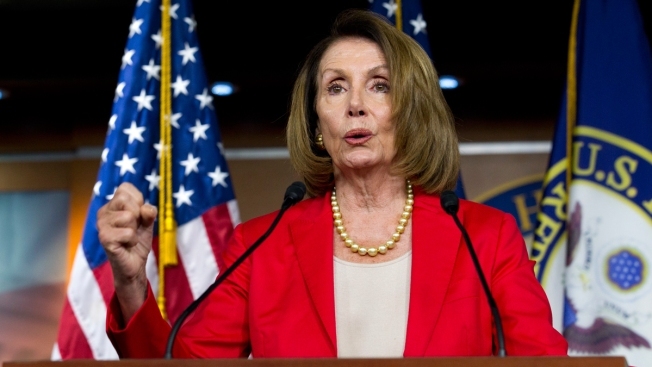 Pelosi has been aggressively campaigning for the speakership amid opposition from a small but vocal group of incumbents within her own party who have long advocated for new leadership and several incoming members who won election pledging they would oppose her as speaker.